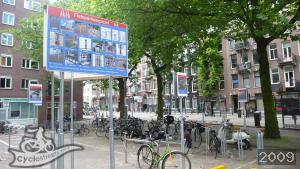 This section lets you view existing galleries made up of images from the Photomap. 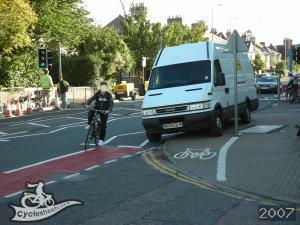 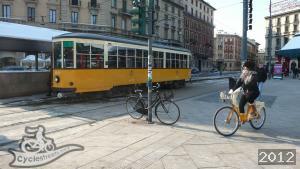 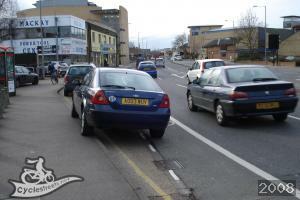 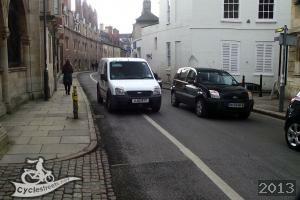 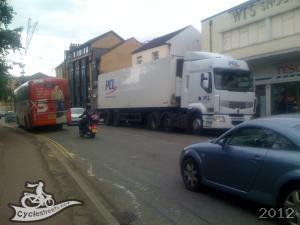 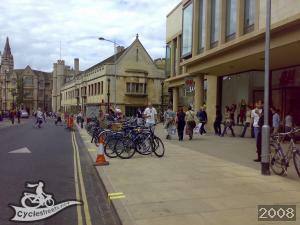 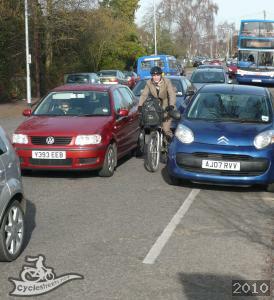 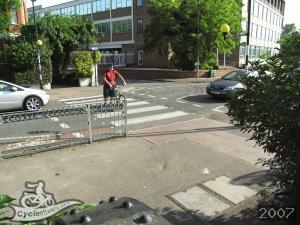 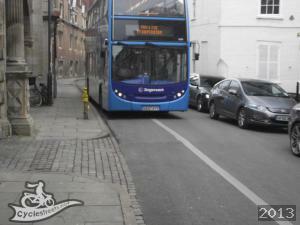 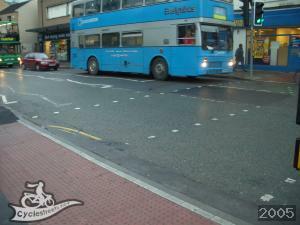 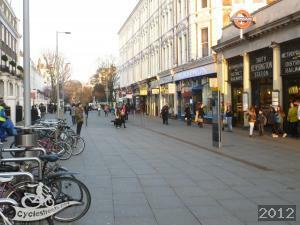 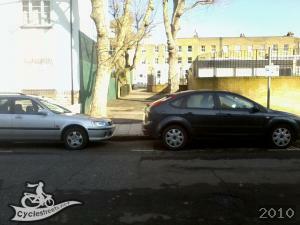 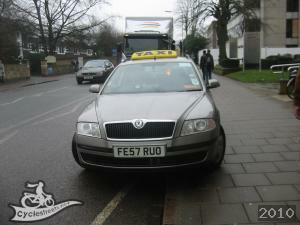 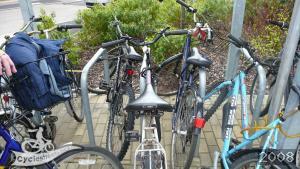 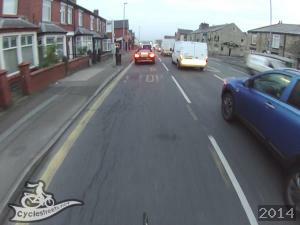 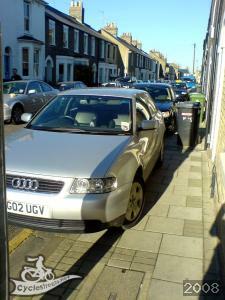 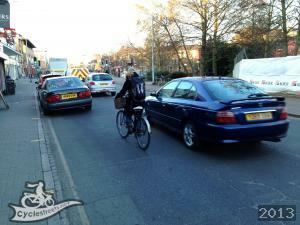 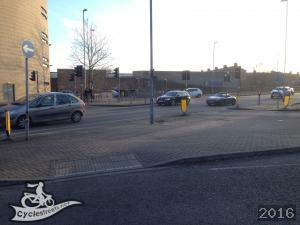 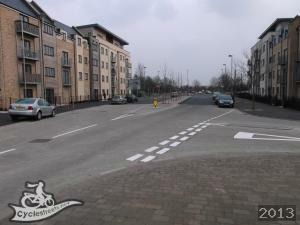 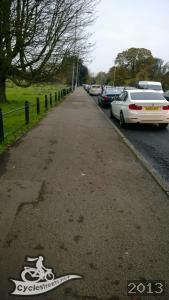 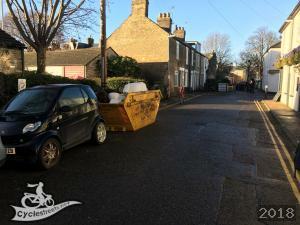 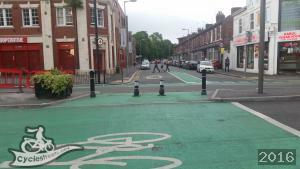 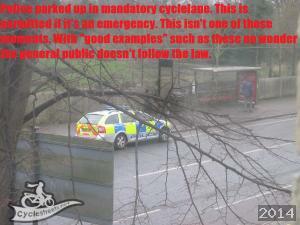 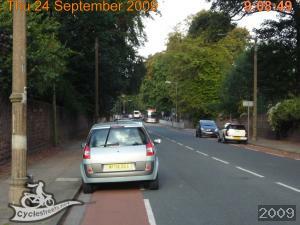 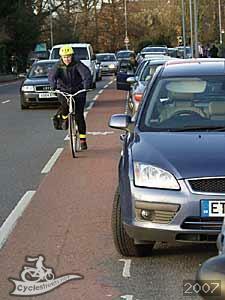 Gallery of photos to support the campaign to argue for more cycle parking where there is already car parking. 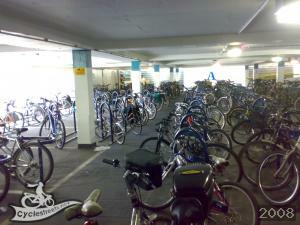 The categorisation galleries are automatically-generated from the attributes added to each photo. 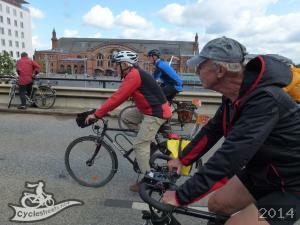 Allan Brigham’s Bicycle History Tour, Bike Week 2010 in Cambridge. 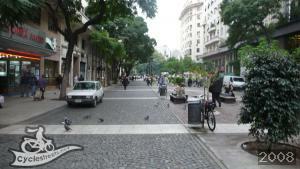 photos of Argentina - for talk at members meeting. 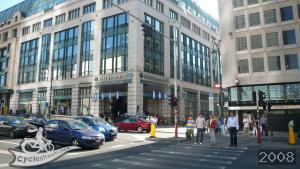 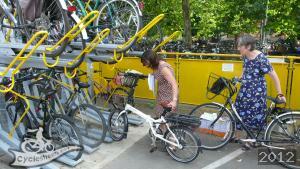 Lots of examples of good practice from the continent, in Belgium. 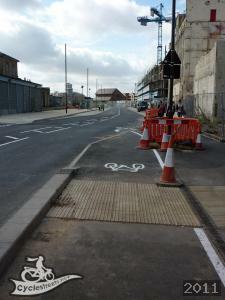 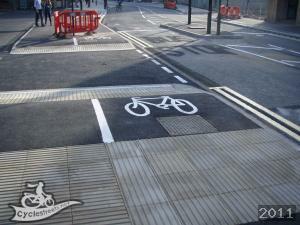 Blackfriars Cycle Superhighway, construction 2016. 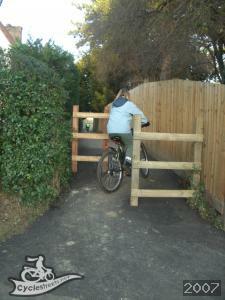 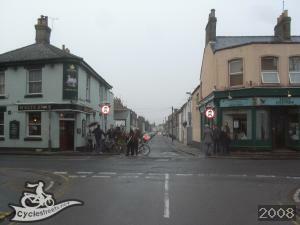 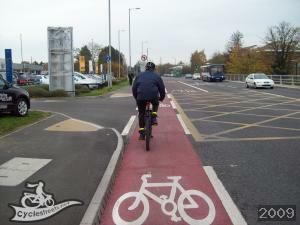 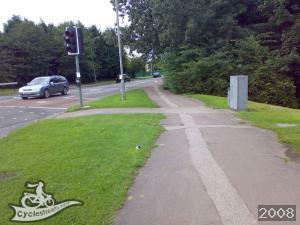 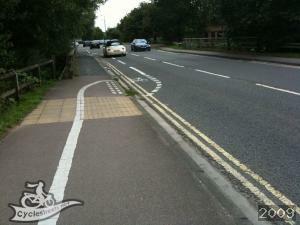 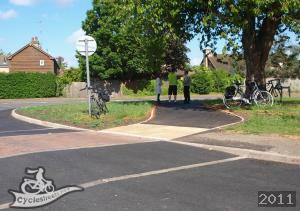 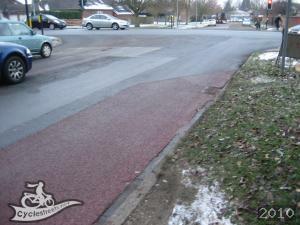 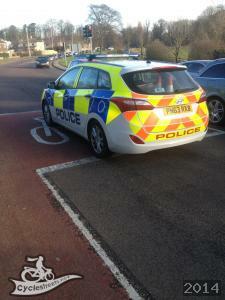 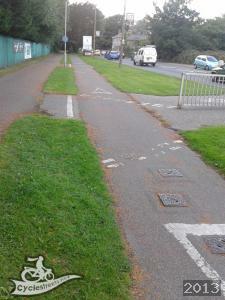 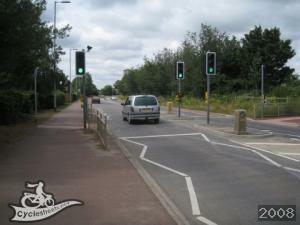 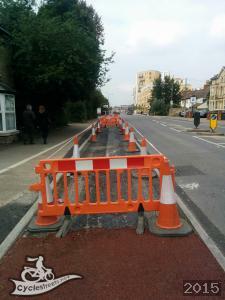 Cycling Infrastructure in the Bognor Regis, West Sussex, area. 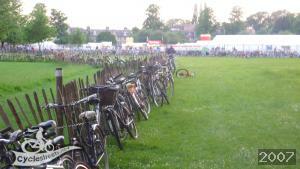 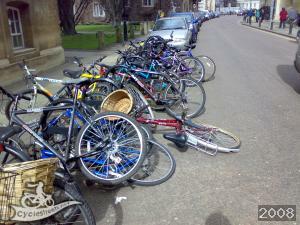 Bikes parked everywhere at Cambridge Beer Festival (Summer 2007). 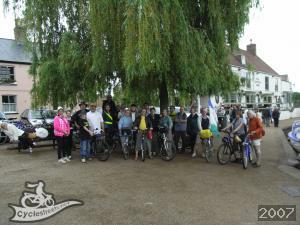 The Camcycle ride to Reach Fair and then onwards to Ely and back in 2010. 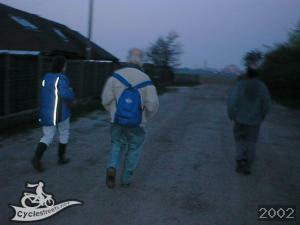 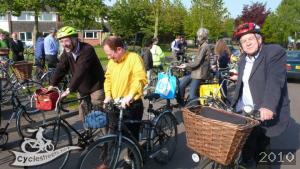 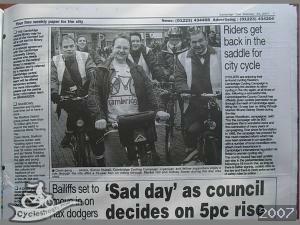 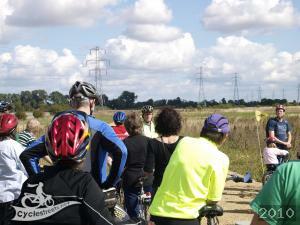 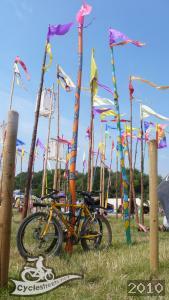 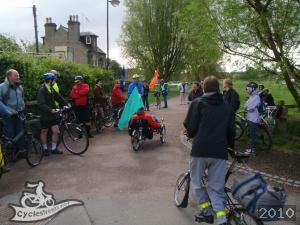 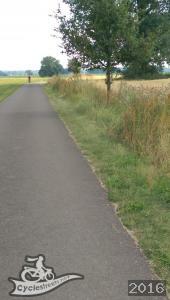 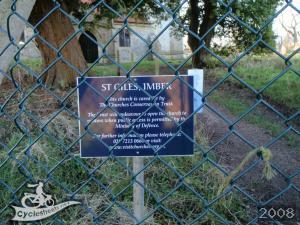 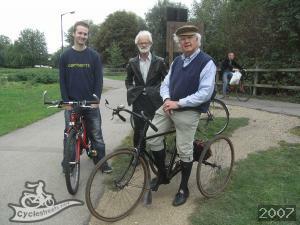 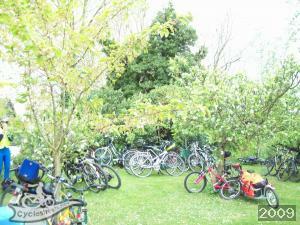 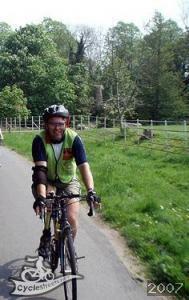 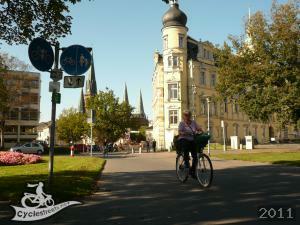 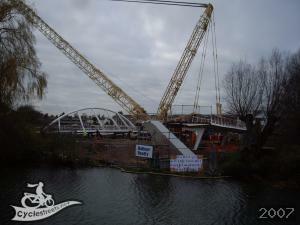 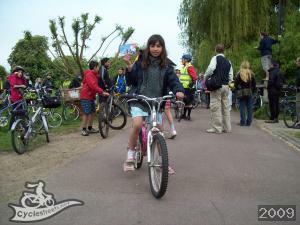 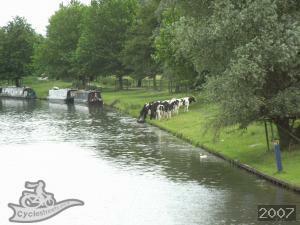 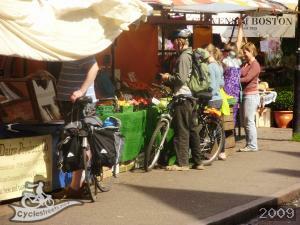 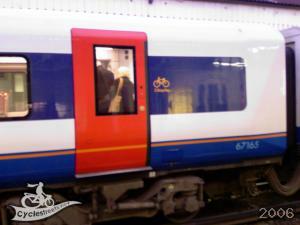 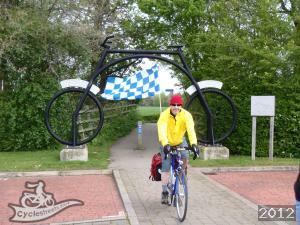 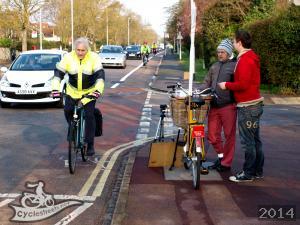 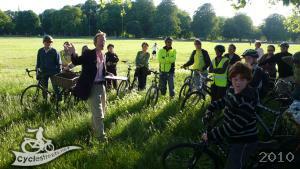 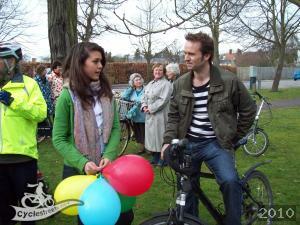 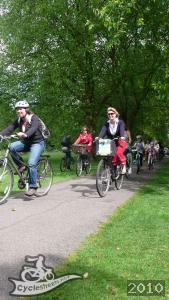 Photos of the Camcycle 20/50 Ride to Reach Fair and Ely. 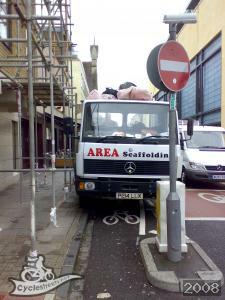 Taken in response to plans for changes here. 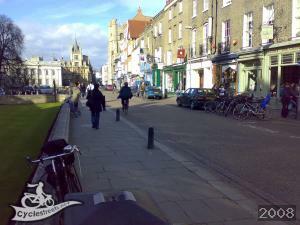 Where is lovlier than Cambridge on a sunny day ? 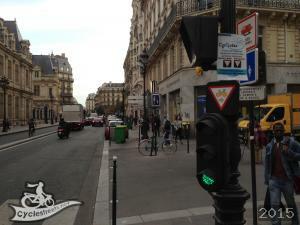 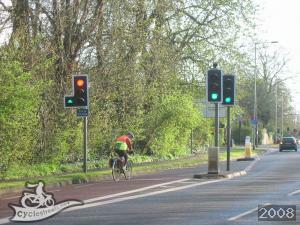 Cycle green filter light, enabling cyclists to go forward on red. 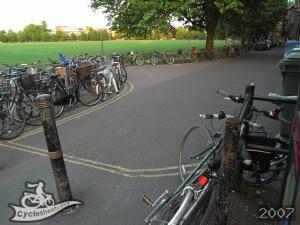 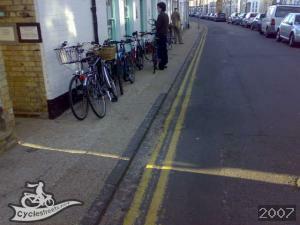 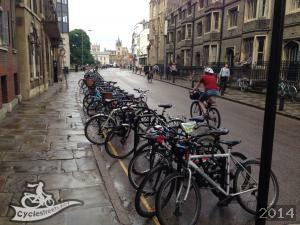 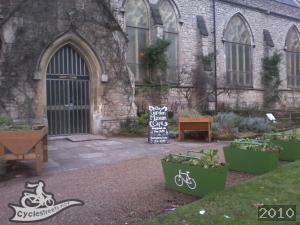 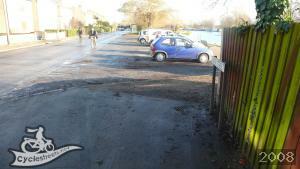 Places in Cambridge where more cycle parking could be added. 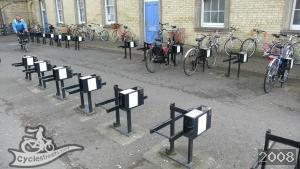 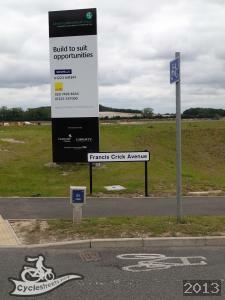 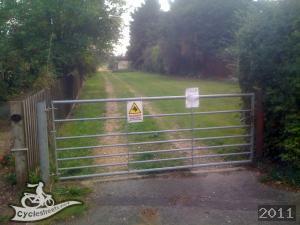 Lockers installed by Cycle-Works Ltd.
Cyclists Dismount signs in and around Cambridge. 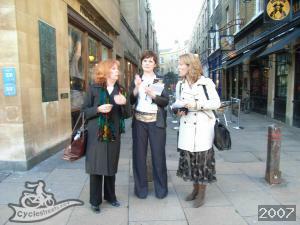 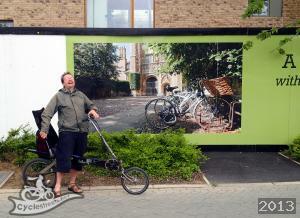 Visitors from the Other Place being shown round Cambridge. 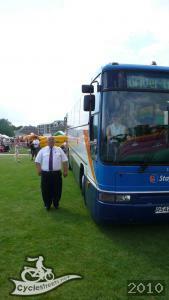 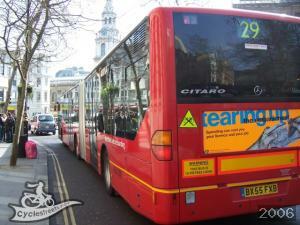 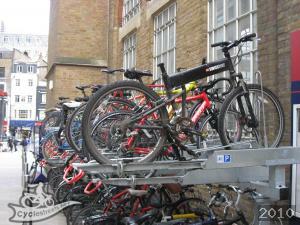 Photos of various double decker racks. 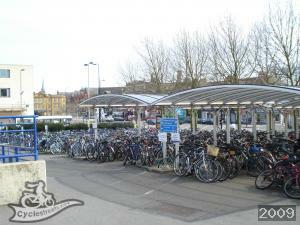 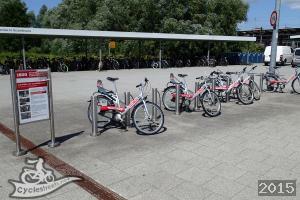 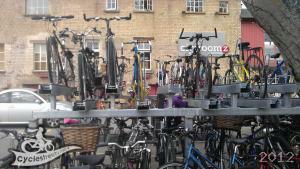 Experimental double decker cycle parking at Cambridge Station. 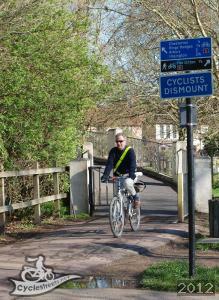 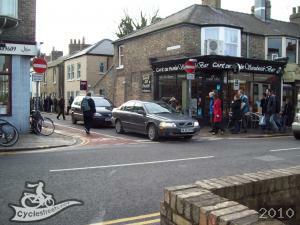 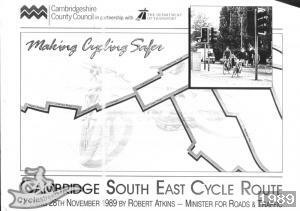 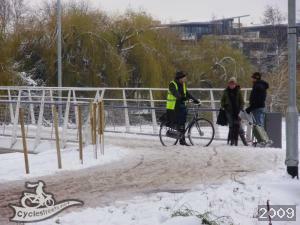 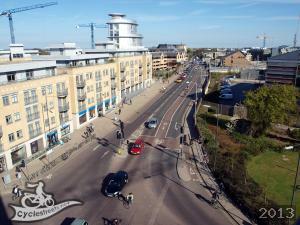 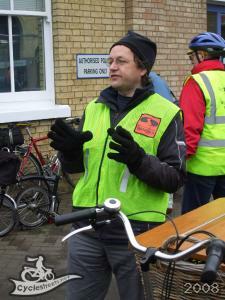 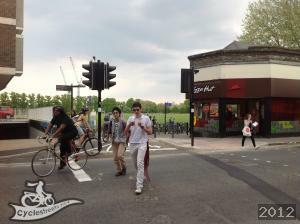 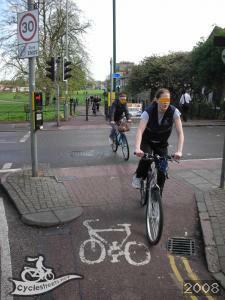 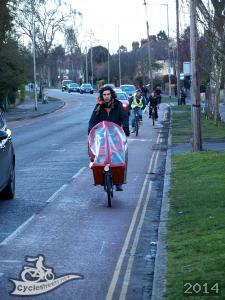 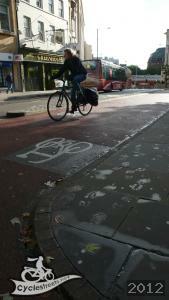 Pictures of everyday cycling cyclists in and around Cambridge. 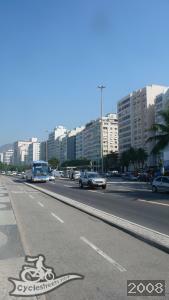 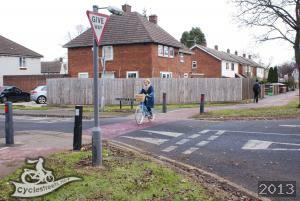 A series of photographs showing how the urban environment encourages obesity. 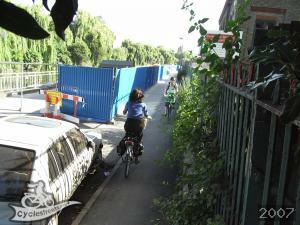 Three traffic lanes but no pavement, here on Fitzroy Lane. 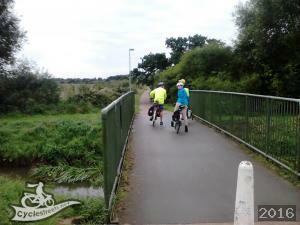 Pictures of some friday rides. 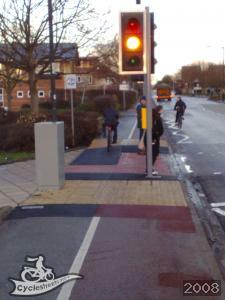 Redmac advisory cycle lanes on Gilbert Road finished in February 2011. 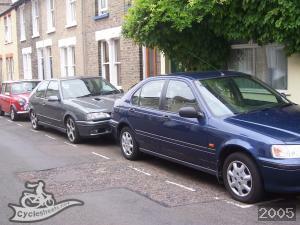 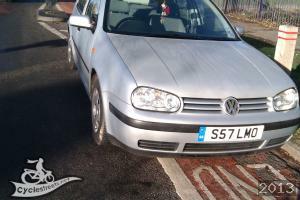 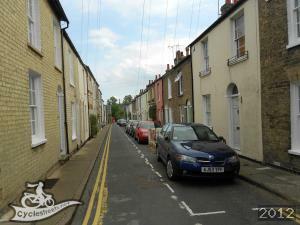 Hills Road, Cambridge, south of HRSFC and near Addenbrooke's Hospital. 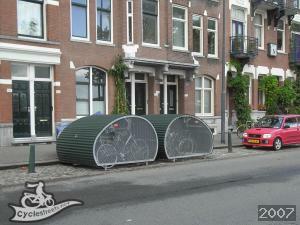 This would work well in Cambridge given the lack of space. 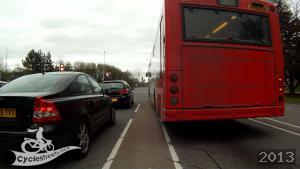 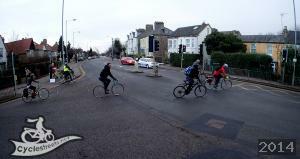 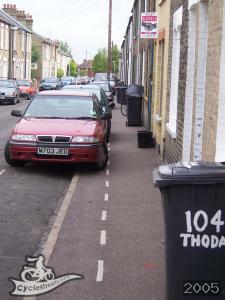 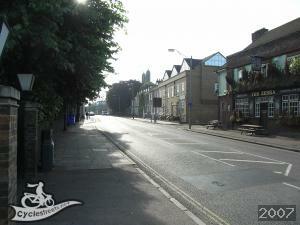 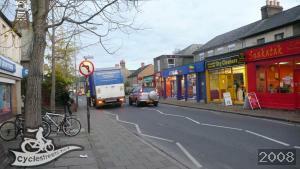 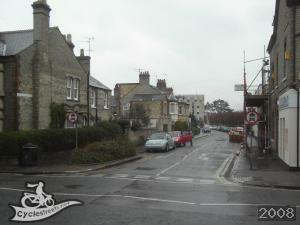 The effect of the bus lane on Milton Road, Cambridge. 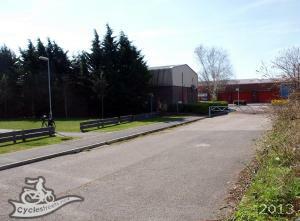 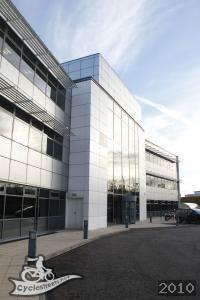 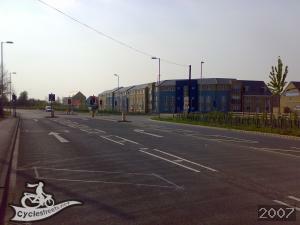 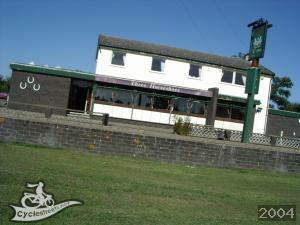 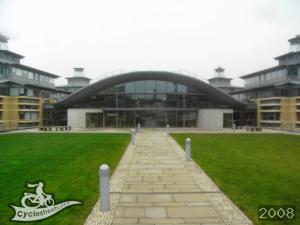 Photos of the NTS Head Office at Hermiston Quay, and the approach to the office. 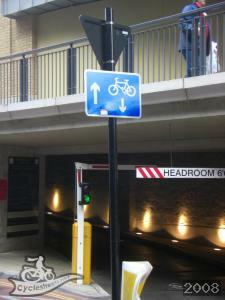 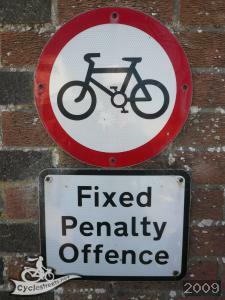 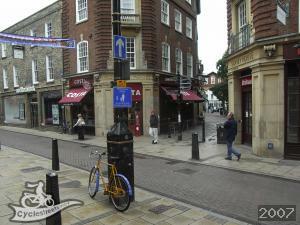 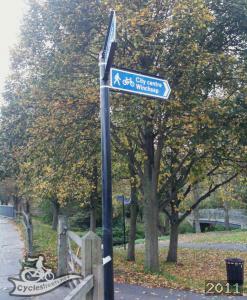 New cycle route signs installed in Canterbury during early November 2011. 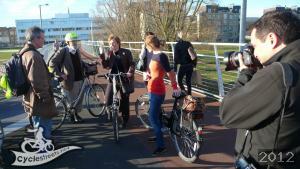 Candidate photos for the next newsletter. 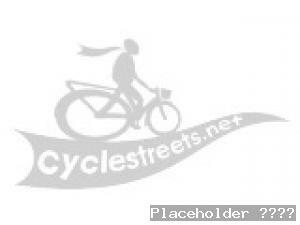 Candidate photos for Newsletter 74. 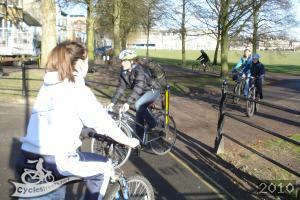 Park Street Cycle Park now in heavy use. 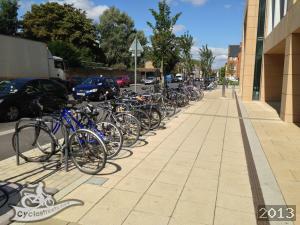 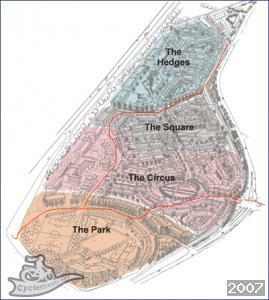 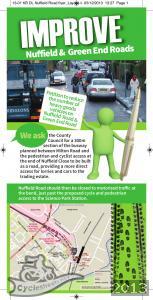 Locations where Cycle parking should be added in Petersfield ward. 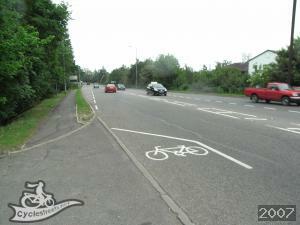 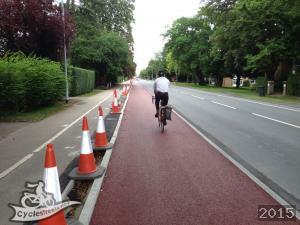 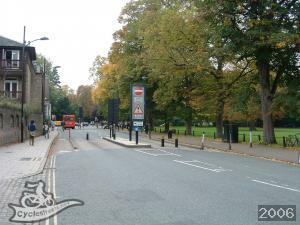 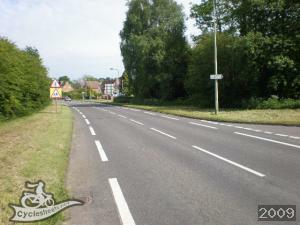 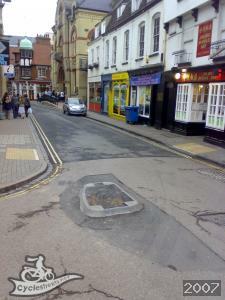 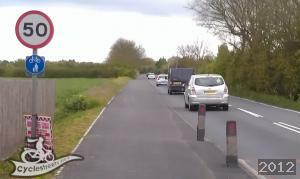 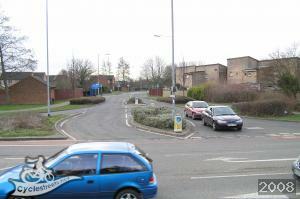 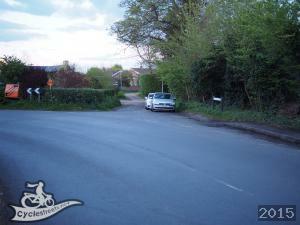 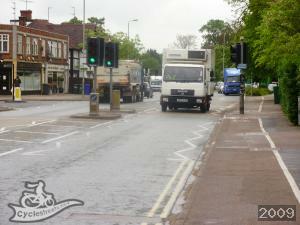 Examples of priority over sideroads in the UK. 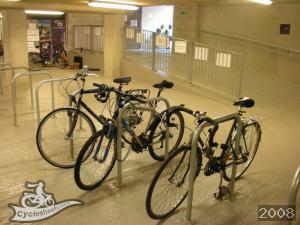 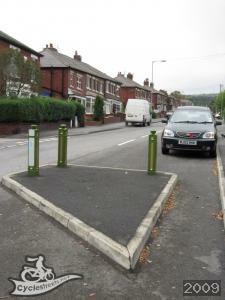 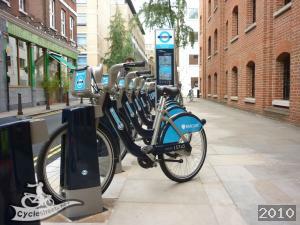 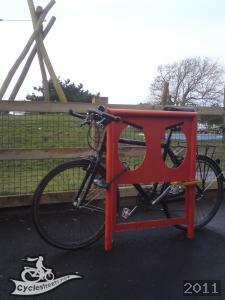 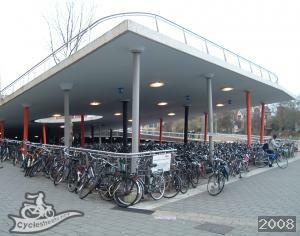 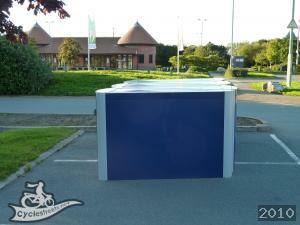 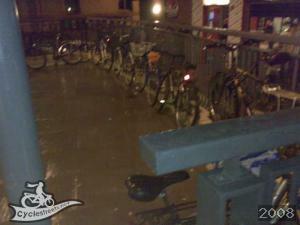 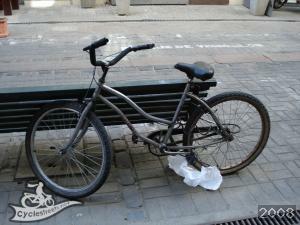 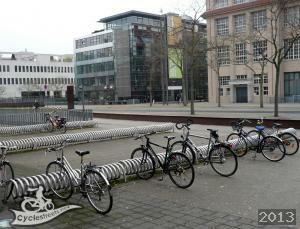 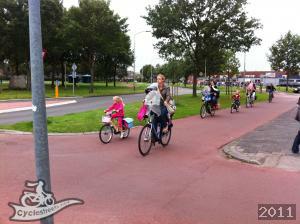 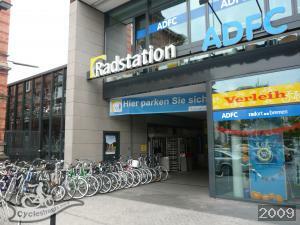 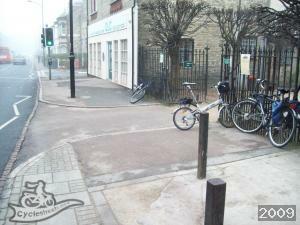 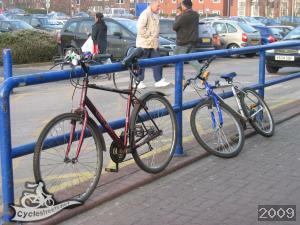 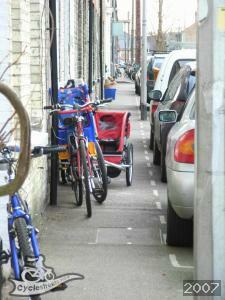 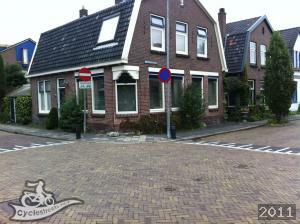 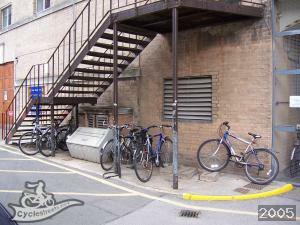 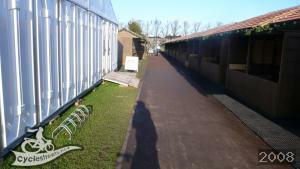 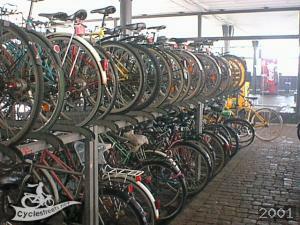 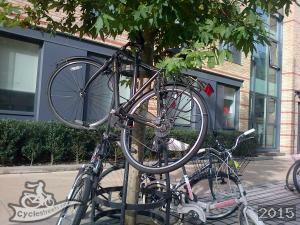 Examples of good cycle parking solutions in residential areas. 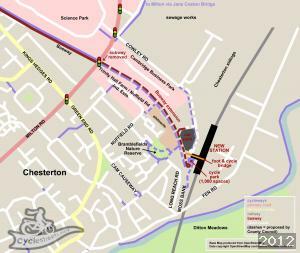 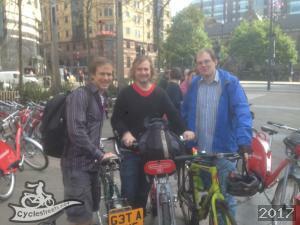 Cycle infrastructure tour for conference on 14th July 2016. 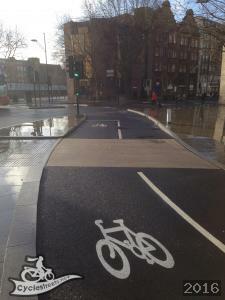 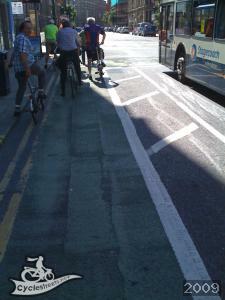 Exhibition Road has just been changed to a new 'Shared Space' arrangement. 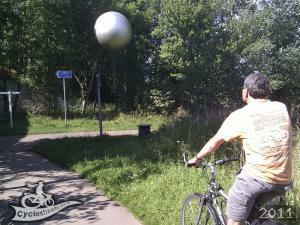 Solar System on the York to Selby cycleway (NCR 65). 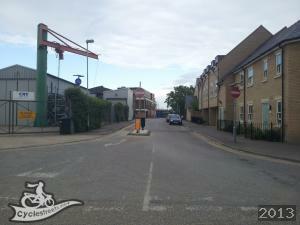 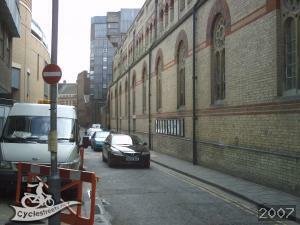 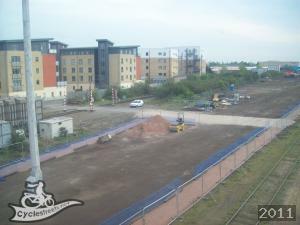 Changes in the St Andrew's Street / Emmanuel Street area. 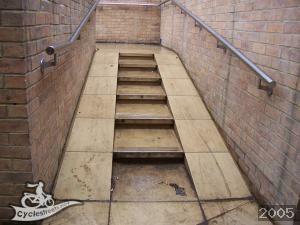 Ramps to assist cyclists up and down stairs. 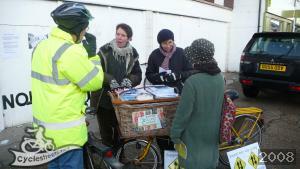 Photos of the Campaign's stall bike at various events. 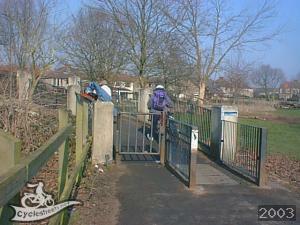 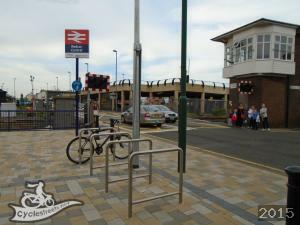 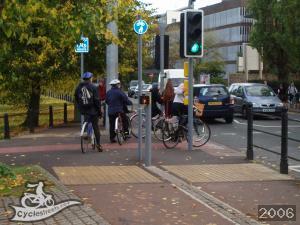 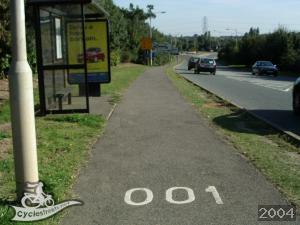 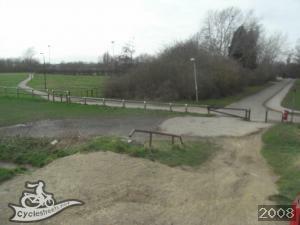 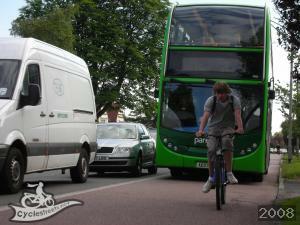 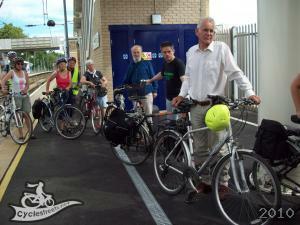 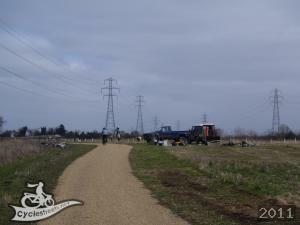 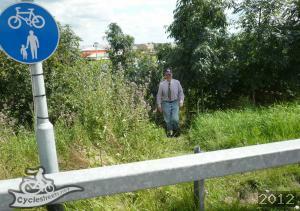 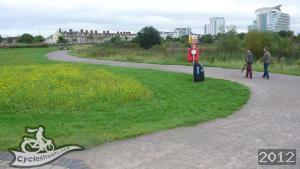 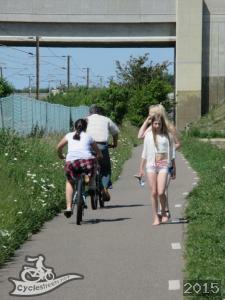 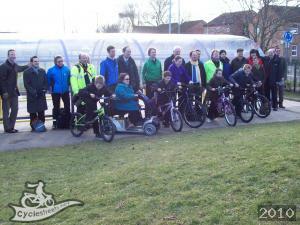 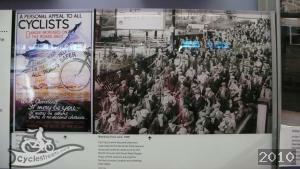 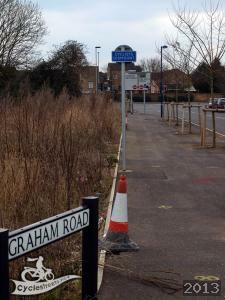 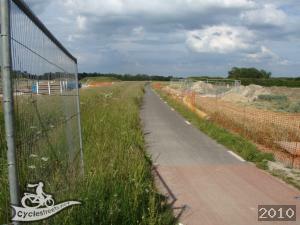 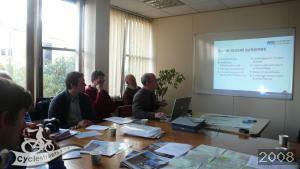 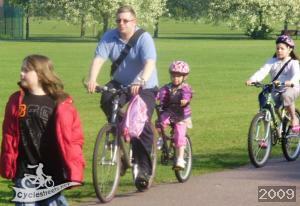 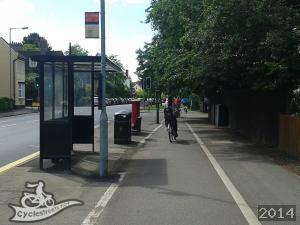 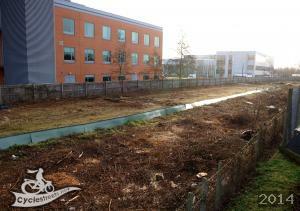 Some photos from a Sustrans rangers signing ride on routes 11 and 51. 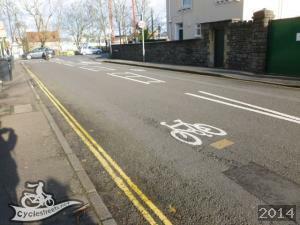 Candidate streets for conversion to two-way cycling. 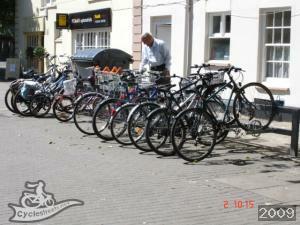 photos of Uruguay etc - for talk at members meeting. 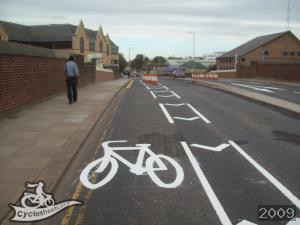 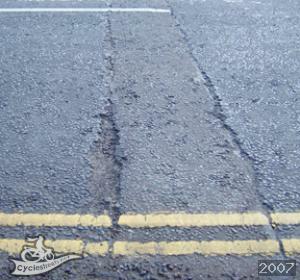 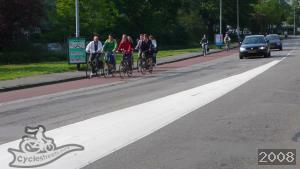 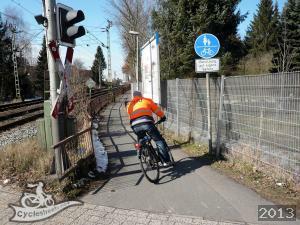 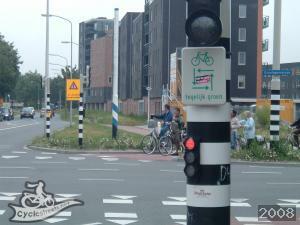 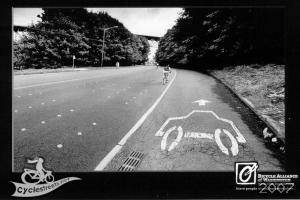 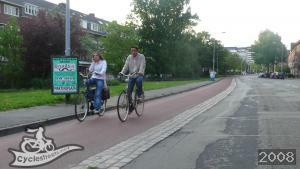 These images will surprise many cyclists. 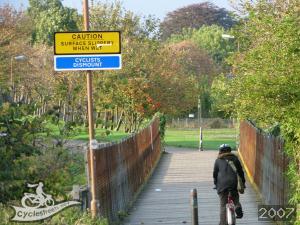 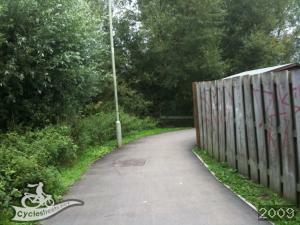 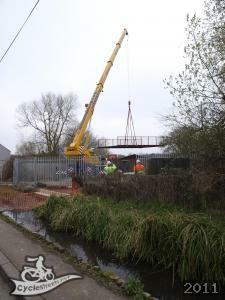 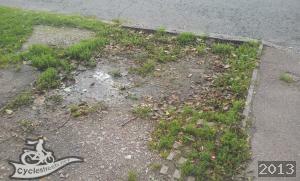 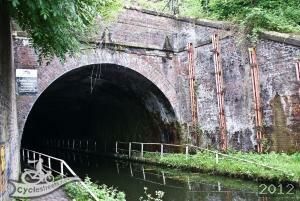 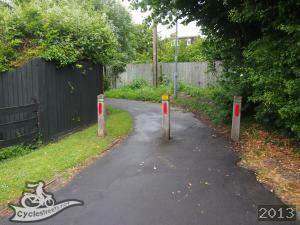 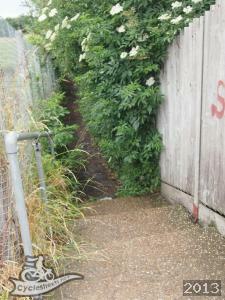 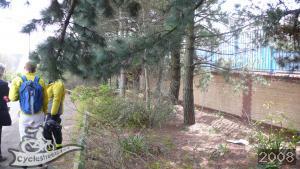 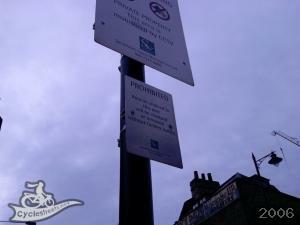 Photos taken on or near Water of Leith Walkway and associated path networks. 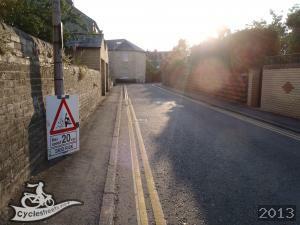 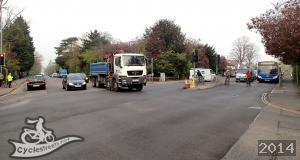 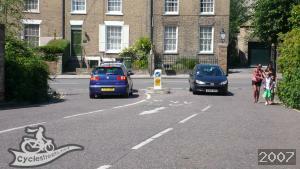 The new traffic calming in Windsor Road.